Unless they're growing their beard out, or using the Spishak Mach 20, most men know the daily struggle of maintaining a smooth, stubble-free face. This is 2015, dammit -- why are we still using metal razor blades like our Charleston-loving grandpappies did back in 19-dickity-two? Well, it looks like the future's finally caught up with us. 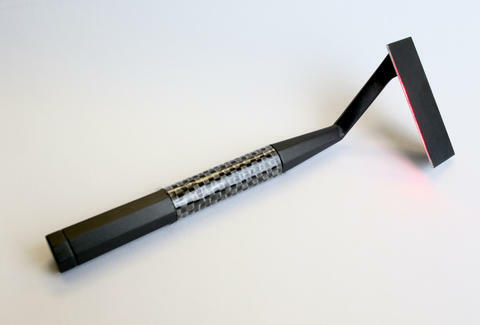 Say hello to the Skarp, a Kickstarter-backed shaver that promises to do away with metal razors forever, replacing them with the go-to weapon for Bond villains and 10-year-olds everywhere: the laser. 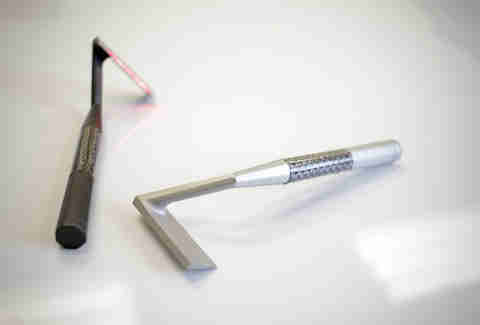 The aluminum-bodied Skarp's laser uses a particular wavelength of light to cut your hair, slicing through a specific particle (called a chromophore). Better yet, the particle appears to be shared by every single human being, so the Skarp should work regardless of the user's age, gender, or race. And it looks like that universality's paying off -- with 7,214 backers and $1,180,144 pledged at the time of this writing, the Skarp's absolutely blown away its original funding goal of $160,000. Now, given Kickstarter's dubious history of fraudulent projects that seem to good to be true, we're probably all thinking the same thing: this seems too good to be true. While that's a totally legitimate concern to have (I'm still waiting for my Kobe beef jerky), one of the Skarp's co-founders lends the device some much-needed credibility -- Morgan Gustavsson actually invented the IPL (Intense Pulsed Light) treatment in 1989, a system of hair removal that's still in use today, and actually claims to have come up with the laser razor idea back in 2001. So will this future-razor change the way you shave, or will it be yet another piece of vaporware that never sees the light of day? Only time (and a million dollars) will tell.